Soldier On is an Australian organisation that focuses on supporting Australian soldiers that have been wounded physically or affected psychologically after relieved from their duty. It is about giving back to the people who have been giving their best to fulfil their duty to Australia. 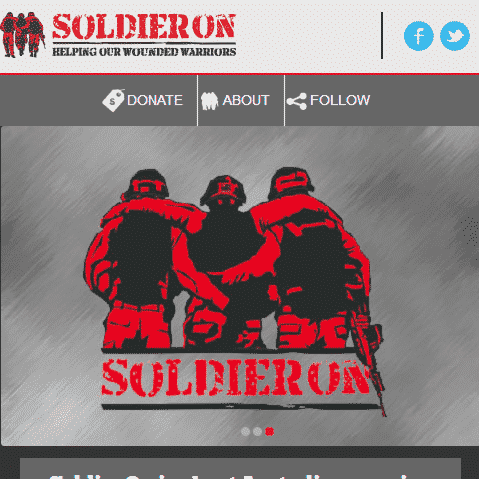 As a part of their strategy to raise awareness, Soldier On specifically wanted to have a separate mobile website to allow people to know more about the organisation as well as getting involved with their cause anytime. The mobile website is separated from their main website, hosted on a different WordPress installation. Since the website is a separate mobile website, I decided to build a child theme from the default WordPress Twenty Twelve theme, and extend some of the functionalities from the theme. I also made some modifications to allow devices with smaller screen size (currently at 240 pixels minimum) to view the site, with 480 pixels as the optimum screen resolution. While the site is a mobile website, it is fully responsive, in a sense that the content boxes will adapt to your screen resolution. Although the project timeline seems tight, due to my previous involvement in major WordPress projects I am able to quickly and successfully completed the mobile website a couple of days before the deadline. During the project, I had heard of the distributed global attacks on WordPress installations, prompting me to add an extra layer of security on the website. Soldier On mobile website was completed in mid-April 2013.